"The Cats" estate in Los Gatos has a pending sale. 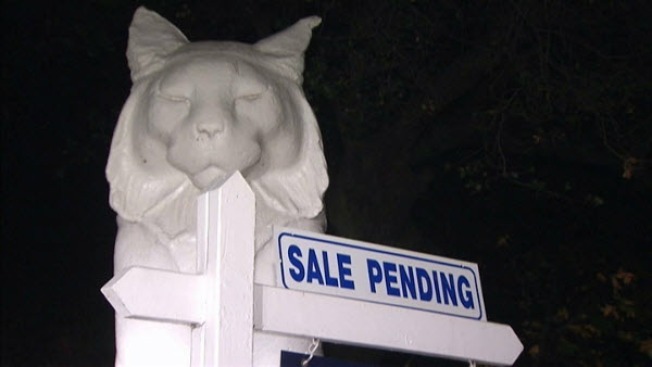 The sale is pending for the historic "The Cats" estate in Los Gatos. The property is well known to drivers on Highway 17 who pass by the two, eight-foot-tall white concrete cats, that stand by the gate - and guard the road that winds up the hill. Sotheby’s Realtor Duanne Adam posted video - showing what the estate looks like behind the gates. The property includes a main house, a gate house, a poet's cottage, a ranch, and an amphitheater. The 75-acre estate is split into nine parcels. It’s unclear who the buyer is, or what the sale price is, but the asking price for all nine parcels is just under $8 million.